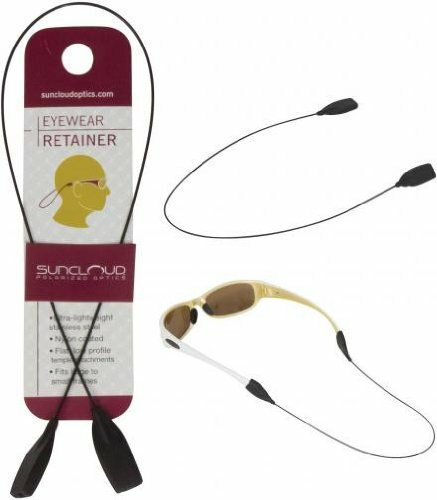 Remove retainer by holding rubber ends and pulling sunglasses out gently. Ultra lightweight stainless steel. Nylon coated. Flat, low profile temple attachment. Fits large to small frames. Made in USA.